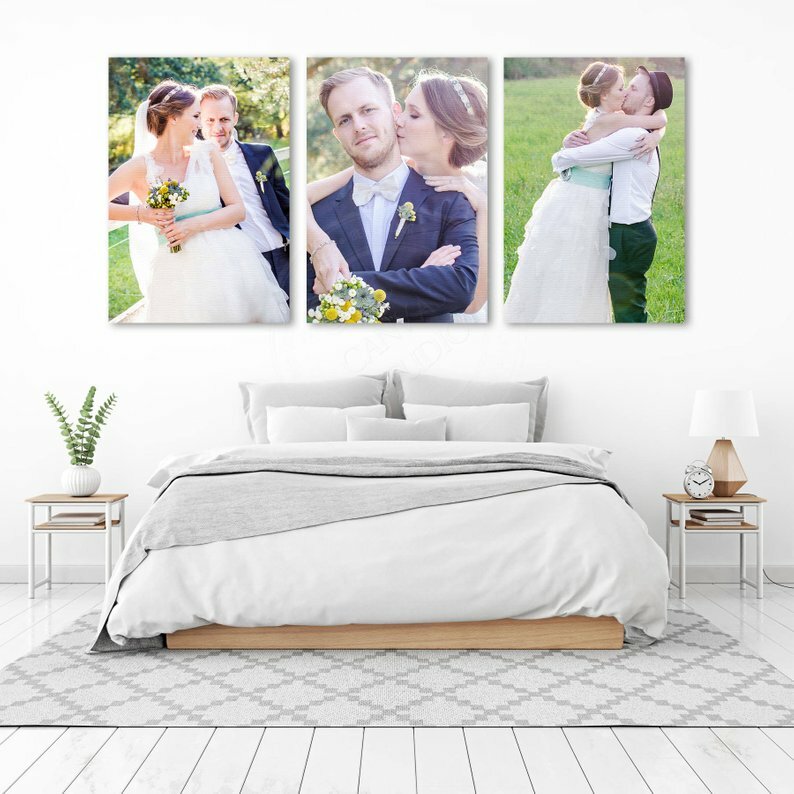 Decorate your home, office, makeup room, closet, rental unit, or Air BnB with pictures on canvas! Gallery wrapped canvas prints are a great way to add style and class to any space. What makes a space more unique than having a one of a kind accent decor piece? Prints A La Mode’s canvas designer allows you to easily add your photos and pictures to any canvas design. We use quality high definition inks that produce extremely vivid and colorful prints. Our HD inks combined with our state of the art printing technology allows to produce prints with exquisite detail even with black and white pictures and images. Oftentimes what you will see from other printing companies is that black and white images lose a lot of detail and print out as a dark blob. Our state of the art printer has multiple colors and ink cartridges for various shades of black and grey which enables us to produce much more detailed prints. Rest assured that your custom canvas picture print will last for years to come. Prints A La Mode uses high quality archival grade museum varnish that is 100 year certified to protect our canvas prints from harmful UV and external factors. Your memories and photos are precious and should last for years to come. Don’t Delay, Order your Picture Canvas Print Today!